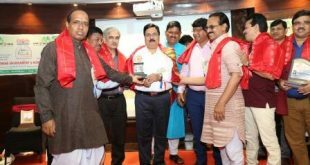 Puri: In keeping with its objective of inclusivity and all-round development of Puri as a Swachh Iconic Place, NALCO on Saturday launched battery-operated vehicle service free of cost at Puri railway station for senior citizens, differently-abled passengers and sick people, in association with Khurda Railways Division. 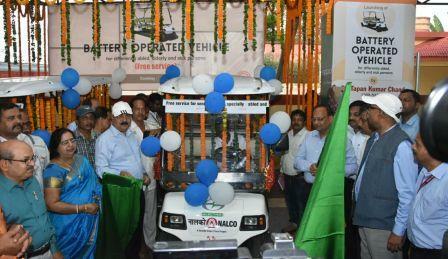 The free-battery operated vehicle service was flagged off by NALCO Chairman and Managing Director Tapan Kumar Chand and Khurdha Divisional Railway Manager Braj Mohan Agarwal. The initiative will benefit passengers travelling to Puri, which is an internationally-acclaimed religious and tourist destination. 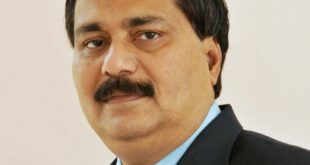 Praising NALCO for this noble initiative, Agarwal complimented Chand for readily agreeing to provide battery-operated vehicles proposed by Railways in Puri, Bhubaneswar and Cuttack stations. A MoU was also signed between Railways and NALCO, in presence of senior railway officials and NALCO executives. 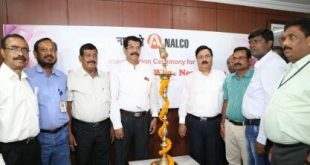 Under the Swachh Iconic Place Project, NALCO is carrying out a number of activities, including, development and beautification of Gandhi Park, multi-storeyed car parking at sea beach, renovation of Niladri Vihar museum inside Jagannath Temple, providing access to drinking water at various spots in the city, development of heritage corridor, among other initiatives.